A medical condition forced longtime Philadelphia newscaster Lisa Thomas-Laury to leave the job she loved. A trip to Mayo Clinic led to a diagnosis and treatment plan. Now, she’s written a memoir about her experiences. Lisa Thomas-Laury has spent her career telling stories. The longtime news anchor and reporter for ABC News in Philadelphia interviewed locals and celebrities, covering politics, parades and everything in between. She even reported live from London for the Royal Wedding (Charles and Diana's, that is). But in 2004, Lisa was forced to leave the job she loved due to a mysterious illness. It would take a trip to Mayo Clinic to get her back in front of the camera. A few years earlier, Lisa had begun experiencing pain in her feet and ankles. Doctors disagreed about what was causing the symptoms. The first neurologist she saw suspected POEMS syndrome, a rare blood disorder that damages the nerves and affects many parts of the body. Others felt Lisa had an autoimmune disorder, and she began treatment for that condition. But her symptoms steadily worsened, eventually leaving her with a paralyzed vocal chord as well as severe nausea and vomiting that sent her to the emergency room. That's when Lisa and her husband, a physician, decided to seek another opinion at Mayo Clinic. After five days of testing, Angela Dispenzieri, M.D., a hematologist at Mayo Clinic, told Lisa that the first doctor had been right. She had POEMS syndrome. "I felt so relieved," Lisa tells us. Finally, she had an answer. And, an effective treatment plan. 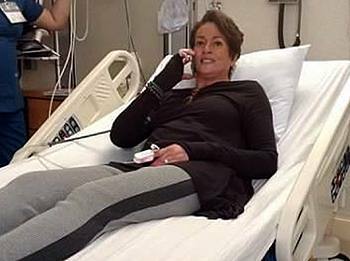 A bone marrow transplant at Mayo Clinic in 2004 led to a slow reversal of Lisa's symptoms and a return to "some of her pre-POEMS energy," reports the Delaware County Daily Times. By 2007, Lisa was able to return to work part-time. She continued to work for close to a decade, but retired in 2016 after a second bone marrow transplant. While she's no longer in the anchor's seat, Lisa is still telling stories. Only now, they're her own. "One of my sons kept asking me, "Mom, when are you going to write a book?'" Lisa tells us. She'd kept a journal throughout her illness, but never planned to share it with anyone outside of her family. Her son eventually convinced her that she had important lessons for others trying to navigate illnesses and the health care system. 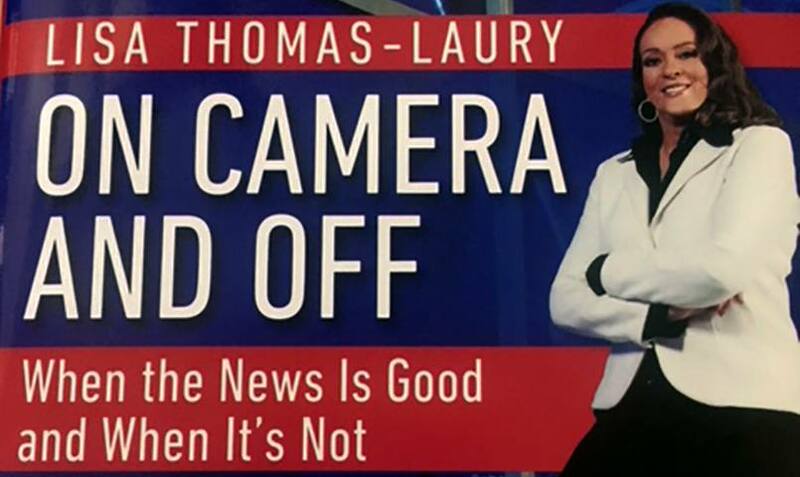 The result is On Camera and Off: When the News is Good and When It's Not, a memoir that covers Lisa's rise as one of the first African American women to anchor a TV newscast, her illness, and her search for answers. There's even a chapter titled "Marvelous Mayo," a reflection of her feelings about the place where "everyone gives you a smile and truly wants you to get better. I felt I was in the hands of people who cared." Lisa tells us she's already thinking of her next chapter, and that it will likely involve helping underserved people navigate the health care system. "I know I have it in me to help others through my experience," she tells the Daily Times, "and I am now ready to do that." You can see Lisa at work in this farewell segment that aired when she retired after 38 years at 6-ABC Action News. The piece includes a message from Oprah, who Lisa met when both were starting their careers (and who she beat out for the Philly job back in 1978). Then leave a message for us below before using the handy social media tools atop this page to share this story with others. Read more about the Mayo Clinic Transplant Center.